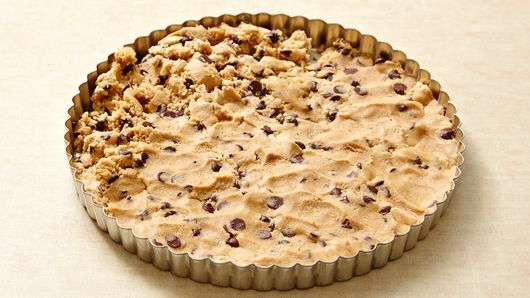 Heat oven to 350° F. Press cookie dough evenly in bottom and 1 1/2-inches up side of ungreased 9-inch tart pan with removable bottom. Bake 15 to 25 minutes or until golden brown and edges are set. Cool completely in pan on cooling rack, about 1 hour. Meanwhile, in a large bowl, beat mascarpone cheese, vanilla and powdered sugar with electric mixer on medium speed, 2 minutes or until well blended; set aside. Reserve 2 teaspoons of the hazelnut spread. 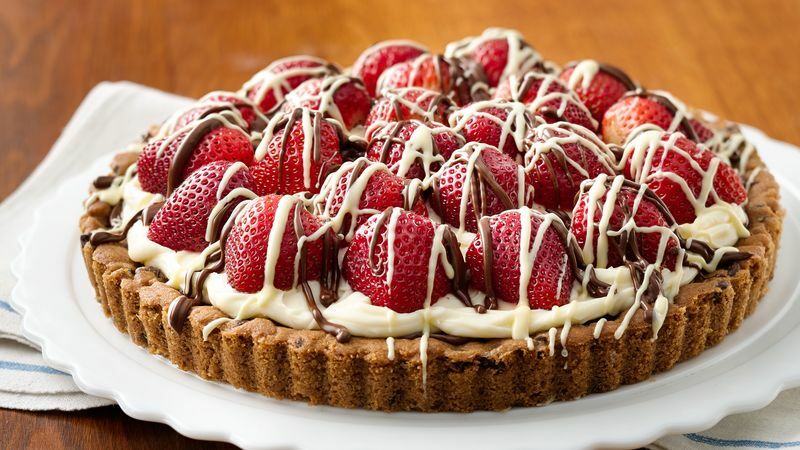 Spread remaining hazelnut spread evenly in bottom of cooled cookie crust. Spoon and carefully spread mascarpone mixture over hazelnut spread to within 1/4 inch from edge. 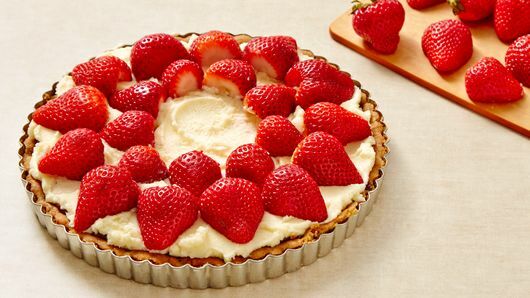 Arrange strawberries over mascarpone. In small microwavable bowl, microwave reserved hazelnut spread uncovered on High 20 to 30 seconds or until drizzling consistency. 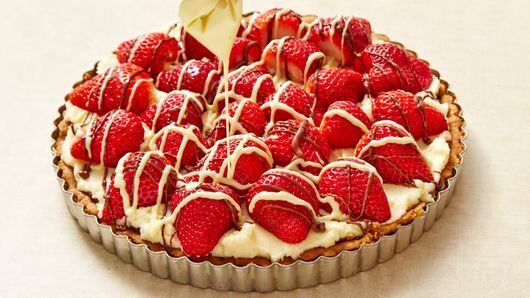 Drizzle over strawberries. In another small microwavable bowl, microwave candy melts uncovered on High 30 to 60 seconds, stirring once or until drizzling consistency. Place melted candy melts in small resealable food-storage plastic bag. Cut off small corner of bag. Squeeze bag to drizzle melted candy melts over strawberries. Store in refrigerator.